Think Bella! Happy Holidays Everyone, Treasure your Moments back at… Mama’s! We still get nervous on projects knowing that each finish has to be as perfect as we can make it. Our name and reputation is attached to every perfection and… every in-perfection. I said, Wow…that is so true! When we finish up this one, we are always excited for the next project. What a great way to approach life, always excited about the next opportunity! Short post this month as David and I finish the final details on Columns, Niches, Alcoves & Stairway on a fun project. 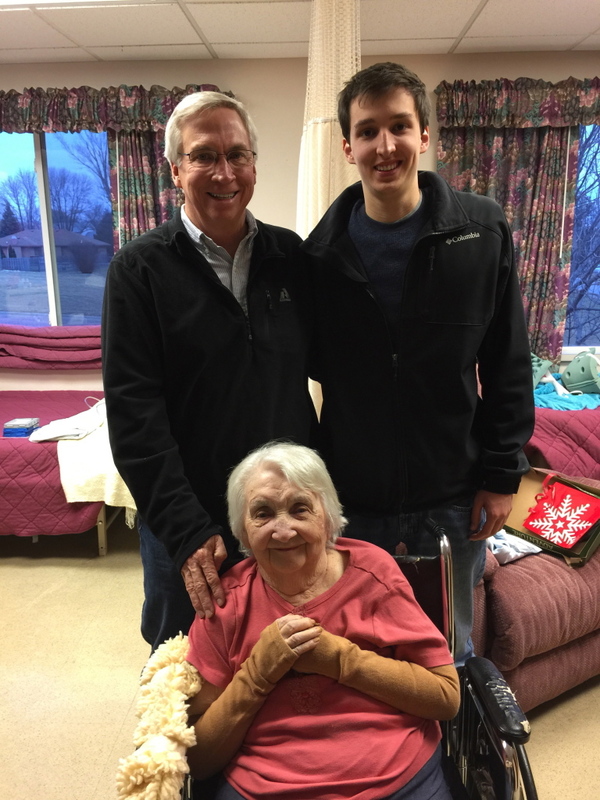 I will share a few pictures from Christmas and our parents. 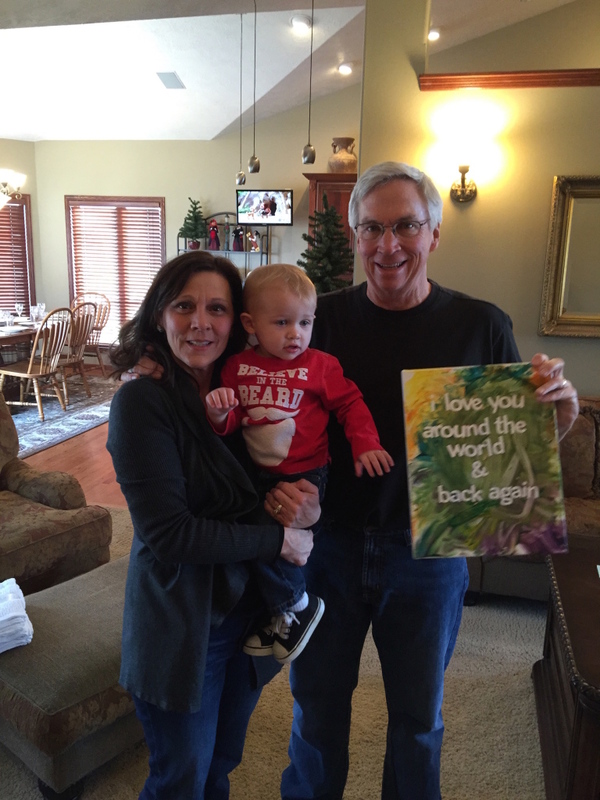 David & Ambers son, Owen, created this Art for Kathy & I. 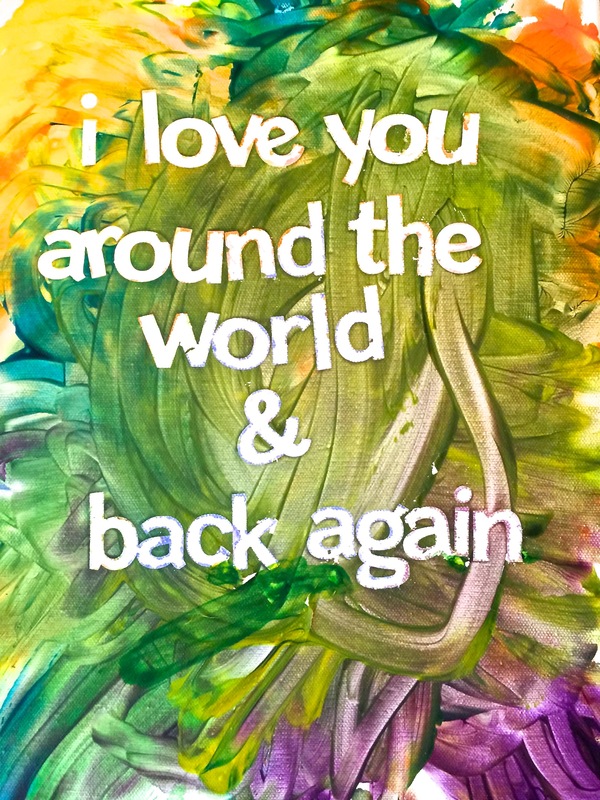 They used a phrase that Kathy use to say to the boys…. all the time. 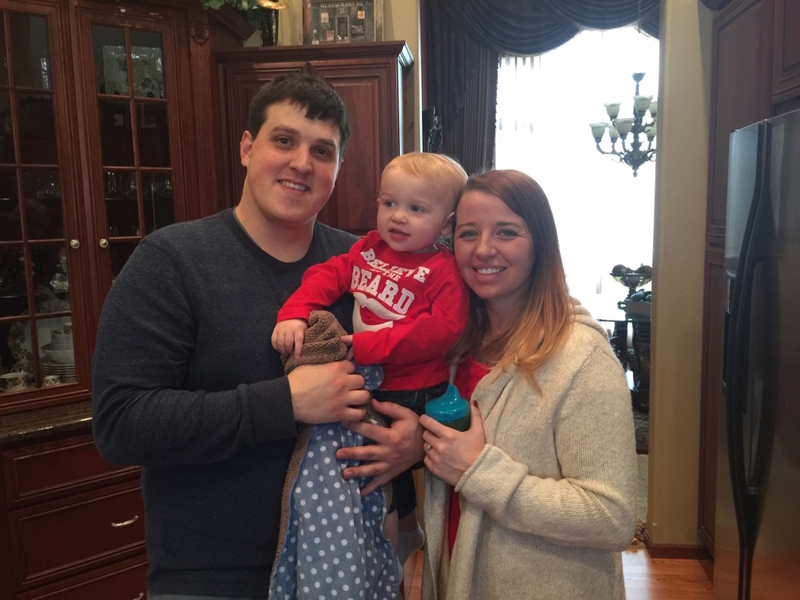 The Nordgren’s wish everyone the Best this Holiday Season with Family & Friends! I love this song, it reminds me of all the great memories at Kathy’s Parents, my Parents, my Brothers, Grandparents, Uncles, Aunts and Cousins… Great Memories! 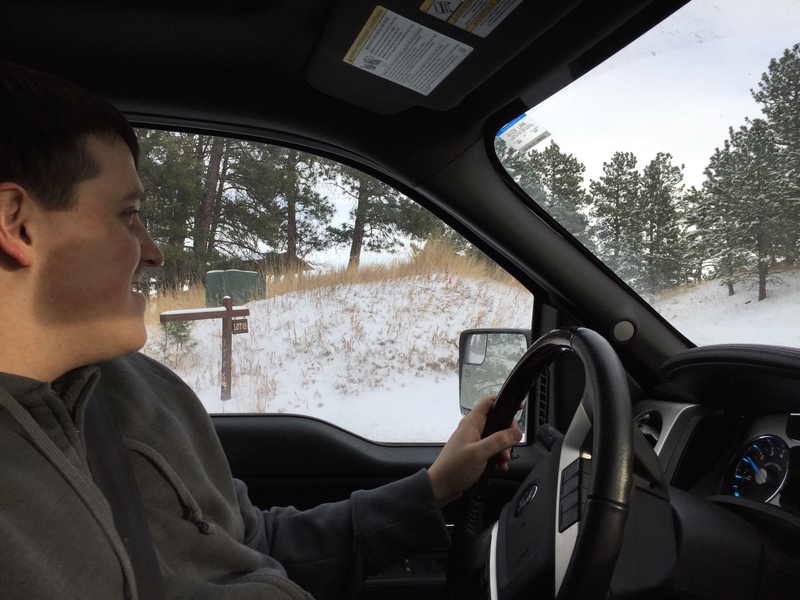 Below, this month David & I were invited to a fun project near Sturgis, South Dakota to share our Interior Design Ideas and Decorative Finishes. 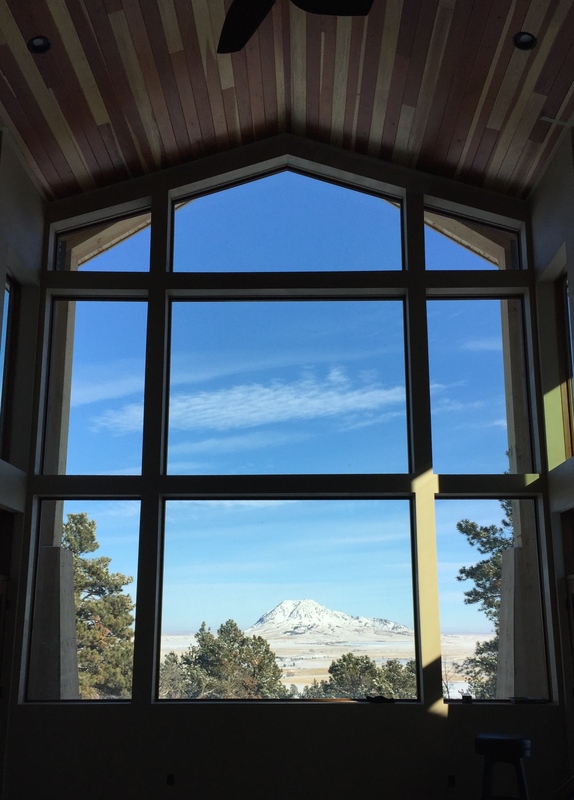 Beautiful home with a breathtaking view of “Bear Butte”! At Bella Faux Finishes, we are very excited about 2015 and the opportunities to share our Art and Interior Design Ideas. We would love to learn about your project and help you create the Vision, Emotion and Drama that quietly whispers… Wow! 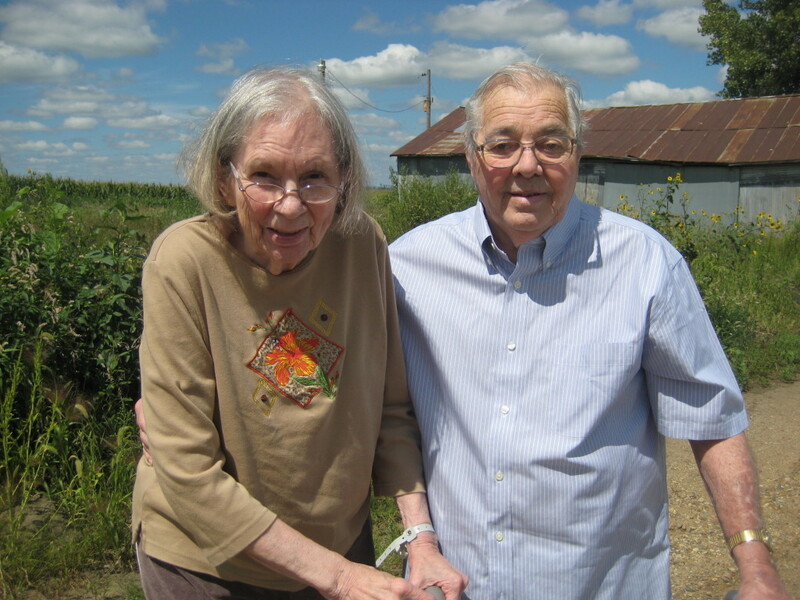 Below, a picture from 2009 of Kathy’s parents Glennis and Richard Morse at their farm. Richard passed away in 2011. What a Great Father in law to have. 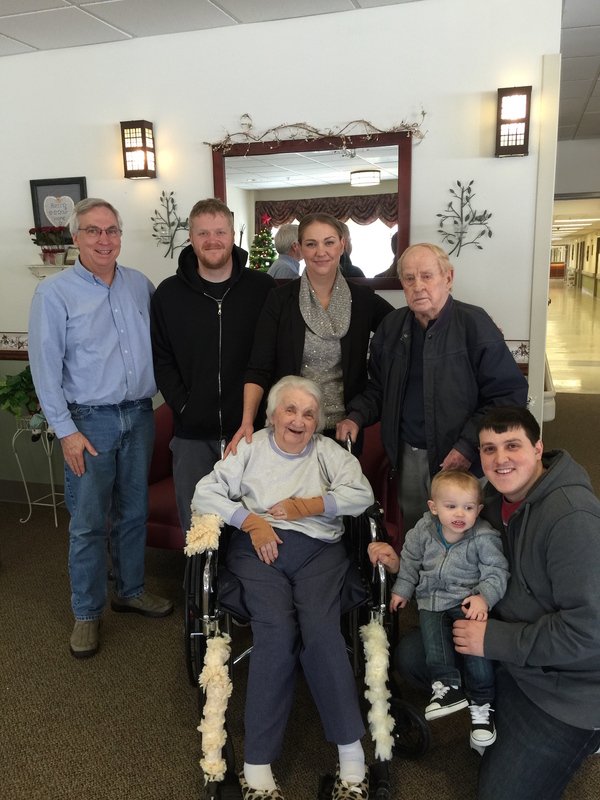 He loved his family and grandkids so much! Below is the last picture taken, when my Mom was at home. 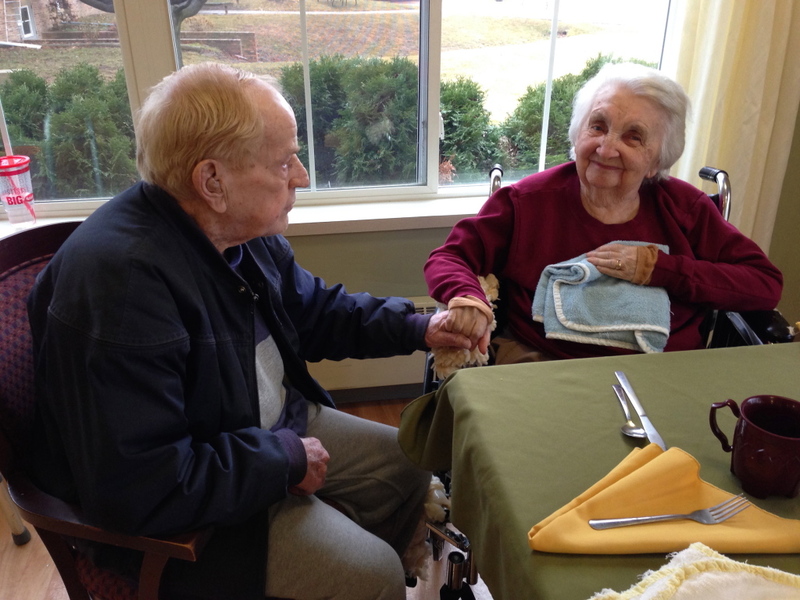 This was in 2012, she broke her hip a couple weeks later and has been in a nursing home ever since. Below I will share some family picture from Christmas 2014. 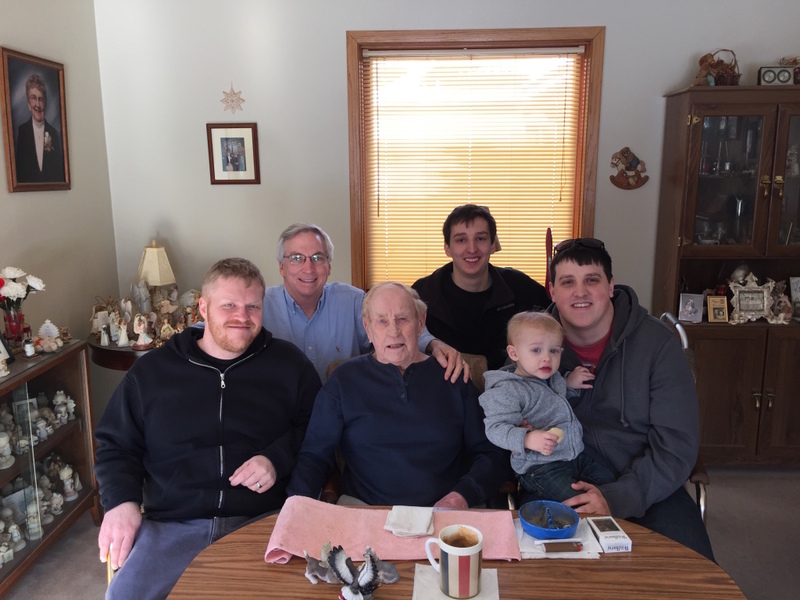 Here pictured with my Dad, are my three sons, Jason, Michael, David and my grandson Owen. Below, my oldest son Jason and his wife Katie, came back from Eugene, Oregon to be with family. 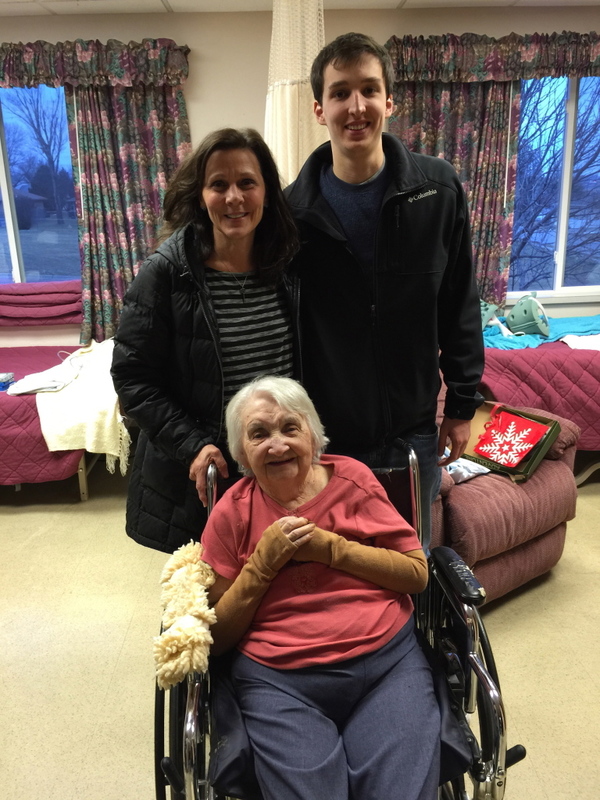 Below, my Mom and my youngest son Michael. Michael came back from school at Minnesota State Universary in Mankato, Minnesota. 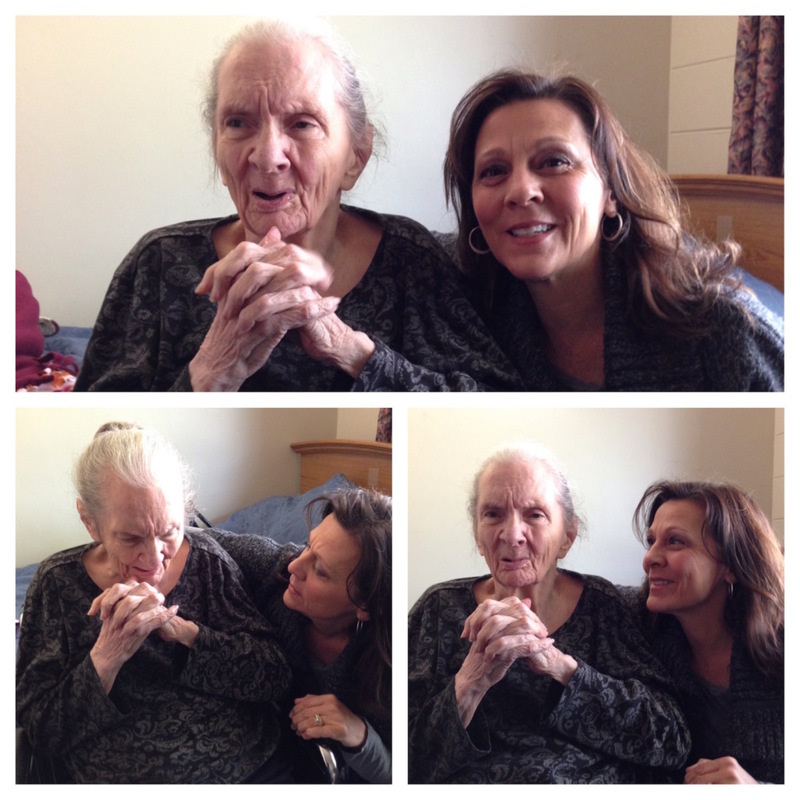 Mom is still doing good, but wrestling with the sad effects of Dementia. She is always happy though! 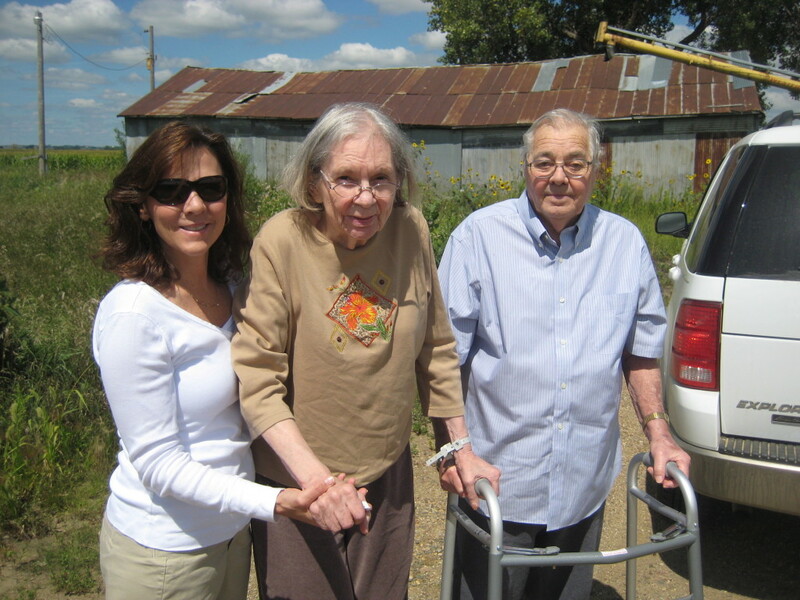 Below, my beautiful wife Kathy, Michael and my Mom. 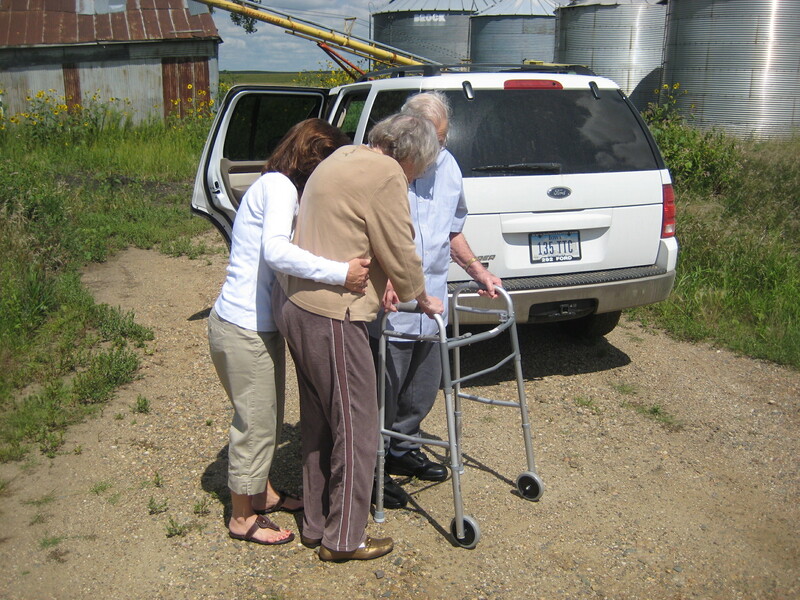 Below is my wife Kathy with her Mom Glennis. 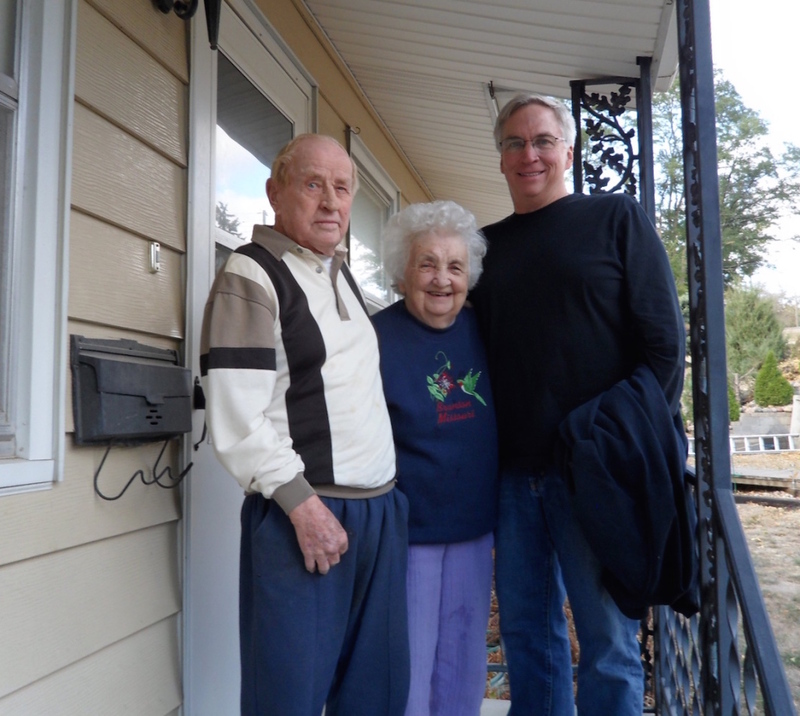 Glennis is doing good, but has been wrestling with the haunting effects of Alzheimers for many years. She is amazing, loves her family so much! 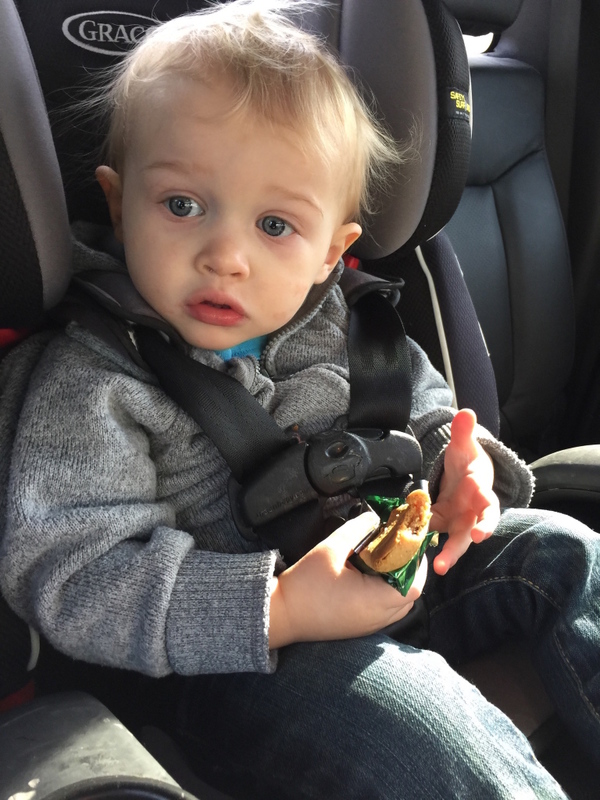 Our Grandson…. 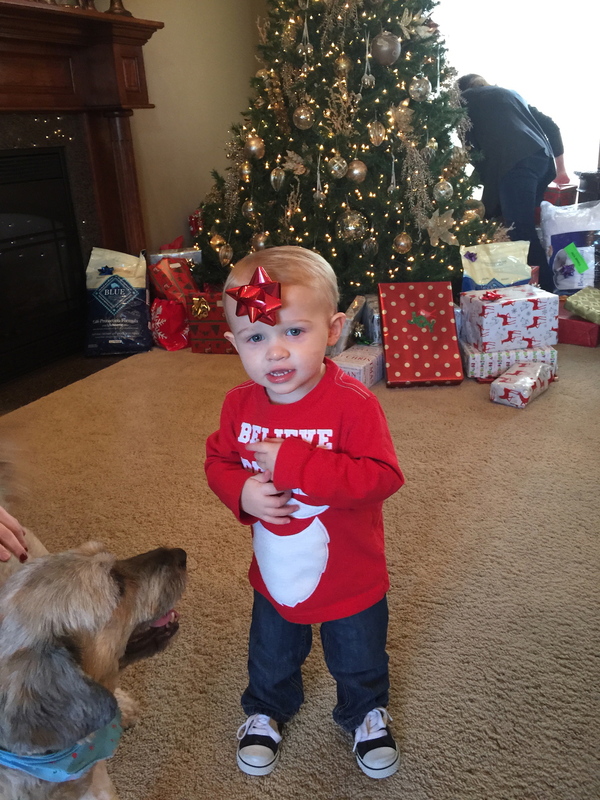 Owen loving Christmas with his dog Emily!